I’ve definitely become a bit of a pro at packing beauty products for travelling if I say so myself, haa! When it comes down to it, skincare is always my top priority and I always ensure I take a good set away with me. 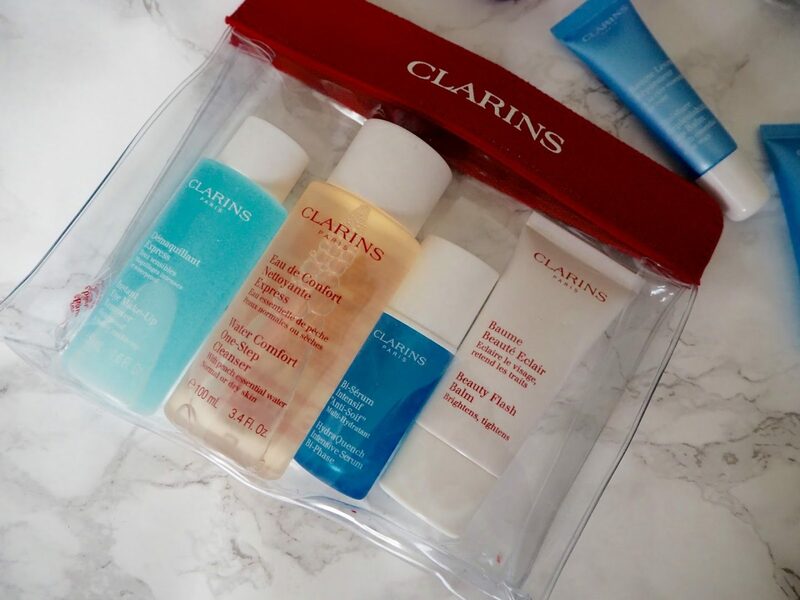 The Clarins Travel Kit has been my go-to for the last two years and has become my favourite travelling companion. It contains everything I need, from cleanser all the way to eye cream and it’s super handy as it comes packed inside a small, clear bag. Travelling in cities means there is a lot of dirt and dust flying around, so I always take a pack of skincare wipes with me and I’m currently obsessed with the Skyn Iceland Glacial Cleansing Cloths. They’re soaked with white willow bark and cucumber extract which cleanses my skin throughly and feels really soothing, it’s also the perfect pre-cleanser. 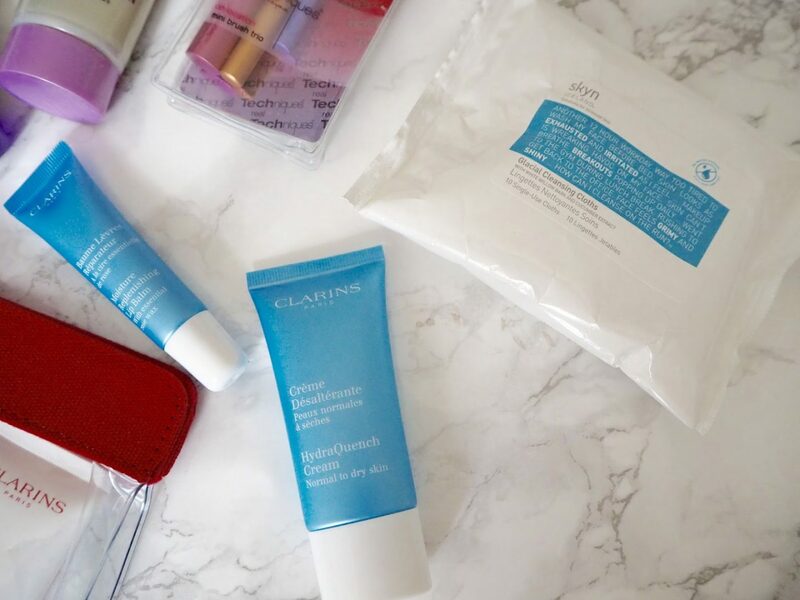 As the Clarins clear bag is slightly stretchy, I am also able to squeeze in a mini shampoo and conditioner. The John Frieda mini’s are a good size for a few days use and are perfect for taming an unruly barnet. Lastly, I do have a travel make up essentials post planned, but I thought I’d include these Real Techniques Mini Brush Trio in this post. Just look at how cute they are! They’re the perfect size and definitely work just as well as the bigger brushes, but obviously not taking up as much space. So they’re my city break travel beauty essentials, what are your essentials and what’s most important for you when packing products for travelling? Clarins travel kit is familiar to me. I've heard some reviews about it and I want to try it for myself too. 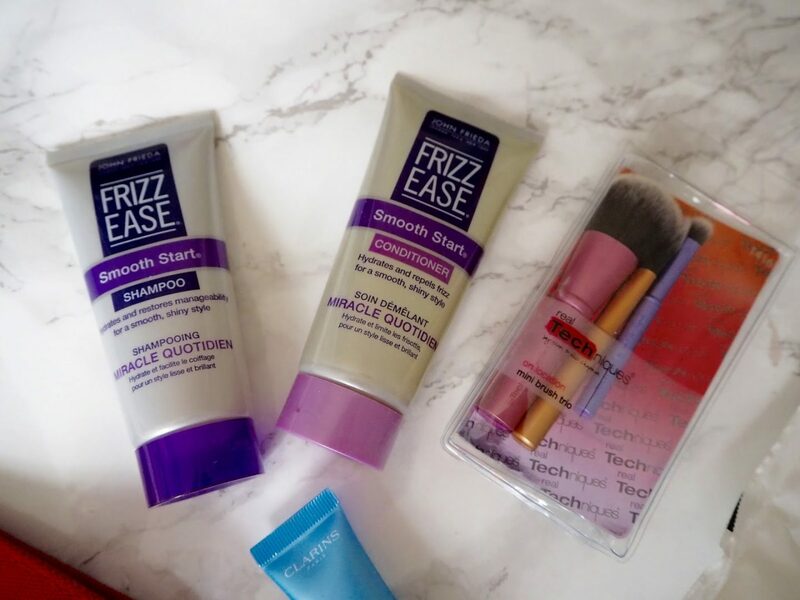 Packing beauty products is the hardest part of packing for me! Kudos to you for mastering it! LOVE this post Jules! 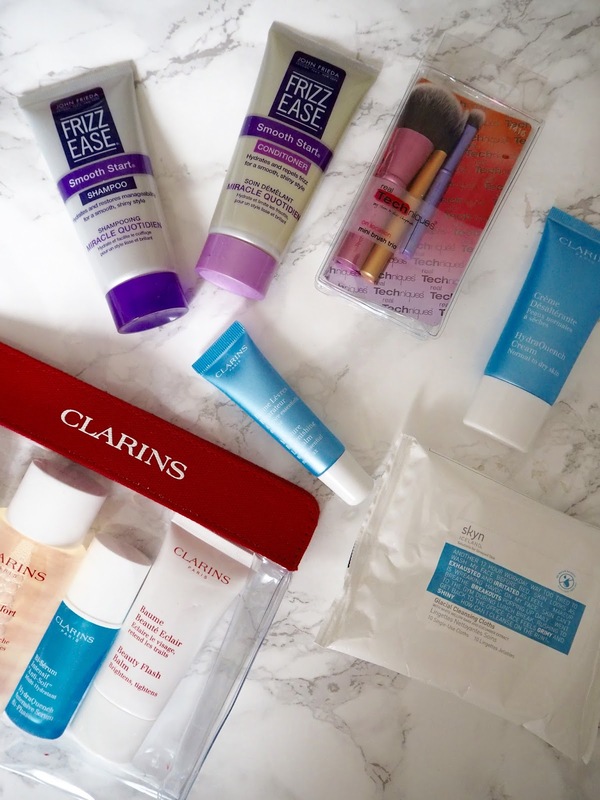 I pack my Clarins with me when I’m on the go, their lip balm is my favourite! The Clarins Travel set is so cute and of course useful, also love the Real Techniques mini brushes, adorable!